There is nothing more tension filled then the ex-girl friend meets the new girl friend scene. When’s Troy’s ex-girl friend comes to town unannounced, Miranda is not pleased. Here’s a bit of their introduction. “Baby, you made it.” Troy said as he guided me through the room and over the bodies spread out on the floor, into the kitchen. I couldn’t take my eyes off of Rhonda. She was gorgeous. I noticed her height. It was all leg. She carried her thin frame like a model, and she moved with grace like a dancer. She seemed so comfortable in her own skin as she got up to follow us. She hugged me tight. Part of me thought she was trying to suffocate me. “Oh my God, Troy, she’s adorable.” Adorable, puppies are adorable. “I have to take a photo.” She pulled her phone out of her back pocket and took it before I could figure out what was going on. The room closed in on me, too many bodies in one place. I smiled up at Rhonda and Troy held me tight as they continued their conversation. A draft of cool air came rushing in as someone entered from the patio. I made a beeline for it. I needed some air. I held onto Troy’s hand, so he had no choice but to follow. “Hey, baby, you okay?” Troy asked. I sucked in the fresh air. Thinking maybe she did try and suffocate me. She’d put some weird spell on me and slowly stole my breath so she could have her boyfriend back—my boyfriend back. “You’re not freaked out about Rhonda?” he asked as he pulled me close. I placed my hand on his chest. The mention of her name made my heart race. “No,” I said but didn’t sound convincing, even to myself. She’s also referred to as a red-headed-skank later in the book, but you’re going to have to read it to hear that story. Is there every a positive ex-girlfriend experience in a romance novels? Great little scene. Ex means current is such a great place for tension. Good scene. 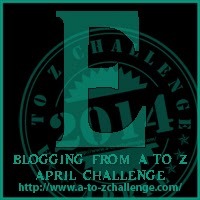 I’m so glad I joined this blog challenge so I can follow writers like you. It’s a delight to see your post in my inbox every day. Nice scene. Get her Miranda. Skank is right! Haha. Miranda will handle it. Hello there. Hmm…interesting! All the best with the challenge. Great scene. I loved the voice. The plot about her meeting the ex was great because it immediately starts a conflict. Meeting an ex is always awkward whether in real life or in a book. Good luck with the rest of the challenge. Ooo yes that always makes for an interesting spot. Ex-girlfriend ex-mistress(in historicals). I’ve read a couple that turned out okay. Or where there was a sexual relationship but maybe not an actual girlfriend/boyfriend deal meeting the new woman. One recently they started off…rough but ended up friends with the ex saving/helping the current. That was such a believably awkward scene. You totally nailed it with Miranda trying to be cool and Rhonda being all swoony. Ew. It makes me re-hate every time I’ve had to meet an ex. There is a suggested conflict in those circumstances, even if it isn’t voiced by the characters. It’s a good tool to have in the box, because you don’t have to do much more than introduce the Ex into the story. Romance has all those great conflict inducing moments built in. This is just one of many. So relatable.